How long do dogs live? That's what many dog lovers want to know. It's a basic question that affects all pet owners, new and old, and the answer is one that differs greatly among breeds. Most experts agree that smaller breeds typically have a longer lifespan than large breeds of dog, but as with everything in life, there are exceptions to every rule. So, How Long Do Dogs Live? Size is often relevant to life span. These breeds, more so than any other size dog, tend to age quickly as they progress from rambunctious, energetic pups into docile adults in a matter of about three years. After the third year, they can start showing signs of fatigue, bone disease, a weakened heart and, in some cases, cancer. These breeds are considered elderly by age six, and it's somewhat rare for them to live beyond eight years. What Affects the Lifespan of Dogs? If you're wondering how long your dog has left to live, it's important to realize that a wide variety of factors beyond size can impact lifespan expectations. Certain breeds of dog are susceptible to hereditary diseases and health conditions which can impact their health and, ultimately, their lifespan. For example, Great Danes, Standard Poodles, German Shepherds, and Akitas are at higher risk for dying early from bloat. Chinese Shar-Peis are prone to developing amyloidosis, and Cavaliers and Doberman Pinschers are often victims of early-onset heart disease. Genetic diseases such as these affect many pure-bred dogs, which is why a cross-bred dog or "mutt" may enjoy a longer lifespan than a pure-bred dog. That said, owners can help improve a pure-bred dog's chances of living beyond its expectancy if they learn about the health risks associated with the breed and adjust their lifestyle to suit the dog's needs. For example, it's wiser to avoid strenuous activity with breeds that are prone to hip dysplasia. Although x-raying the joints will show how well an individual dog's ball and sockets are formed, avoiding needless stress may prevent arthritis from setting in. Light exercise should be enough to keep such breeds healthy. Another factor that can affect the lifespan of a dog is how it is cared for. Dogs that are kept outside all year long may possibly have a shorter lifespan than dogs that are kept inside the house. The constant stress of exposure to the elements, regardless of the type of shelter provided, can wear a dog down long before his time. 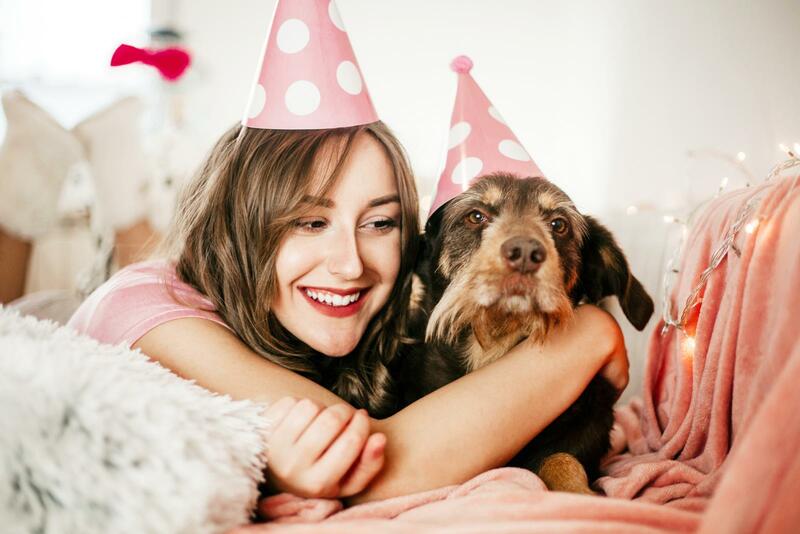 Outside dogs are also at risk of developing diseases or health maladies that may go undetected by their owners since they're not in as close contact with them as they would be with an indoor dog. Outside dogs are also in a prime location to suffer from flea and tick infestations which can take a tremendous toll on a dog's health. Insufficient food and water also affect a dog in cases where forgetful owners become neglectful, and this is regardless whether a dog is kept inside or outside. The dog that holds the record for world's oldest dog is an Australian Cattle Dog named Bluey. Bluey lived to the ripe old age of 29-1/2. However, many believe a dog named Maggie was the oldest dog, but her owner did not have the paperwork to back up his claim. Maggie was an Australian Kelpie who lived until the age of 30. What many of these breeds have in common is that they are still being bred to "work jobs," and this requires breeding for physical health rather than specific physical characteristics. For mixed breed dogs, it's often thought that they are healthier than purebreds, although this is not exactly the case. Research has shown mixed breed dogs have fewer incidences of genetically related disorders but no significant differences overall in terms of health between mixed and purebred dogs. However, inbred purebred dogs can suffer from significantly more health problems because of poor breeding practices. It's difficult to say how long inbred dogs live as each dog and litter will be different, but you can expect inbred dogs to live shorter lifespan than average because of the greater incidence of health problems. Cats appear to live longer than dogs, but they generally live similar lifespans to small-size and toy dogs. The typical cat lives about 14-15 years. It's theorized one reason cats appear to live longer is that there is far less variation among cat breeds compared to dogs. 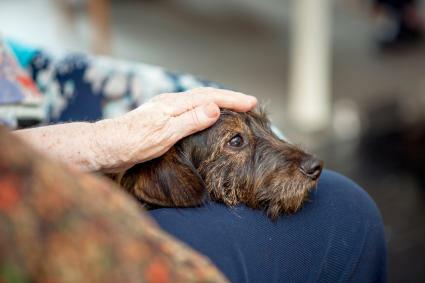 An emotional connection with its owner is a vital ingredient in every dog's lifespan. Dogs have a need to bond with their owners. If they don't receive the emotional connection they crave, their health can suffer. Of course, feeding your dog high quality food, giving it plenty of fresh water to drink, providing regular veterinarian visits and maintaining its hygiene are all essential to giving your dog the life it deserves. If you can provide these basic requirements, they will go a long way toward maximizing your dog's lifespan.